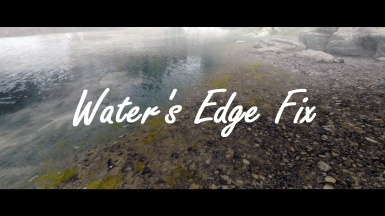 Fixes the visual glitch that would cause water edges to become extremely blocky in foggy weather. Realistic Water Two This plugin is not actually dependant on Realistic Water Two as a master, but the fix will only work on the water from Realistic Water Two, so it's necessary to have it loaded. 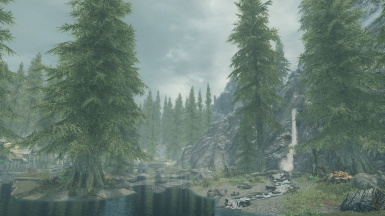 Updated Vivid Weathers version to V2.30, Obsidian Weathers version to V1.05, and Rustic Weathers version to V32. Added new version for Aequinoctium Weathers. 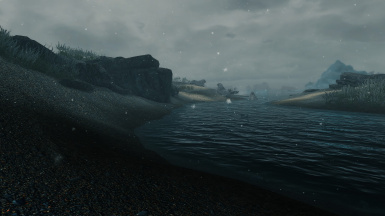 Added new optional file to fix unique Solstheim weathers added by Wet & Cold. 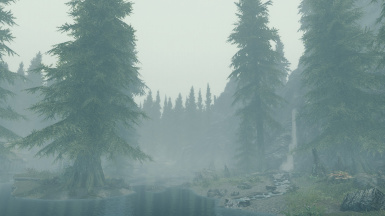 Redistributed fog values to provide better variation for foggy weathers and help retain a bit more fogginess while still fixing the blocky water edges. 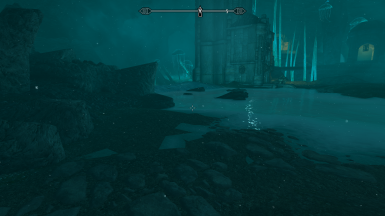 Potential fix for blocky water edges still appearing in Solstheim (which should be completely alleviated with the addition of the Wet&Cold option as well). Corrected a value for DLC2VividSnow_NS_T. 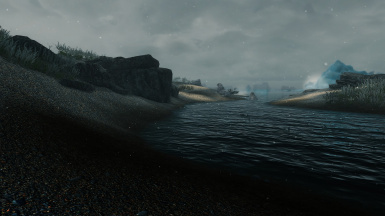 Added weathers I previously forgot (e. g. Solstheim) to some plugins. Carried over volumetric lighting changes introduced in the Update.esm i missed. Now supports the newest versions of the weather mods. 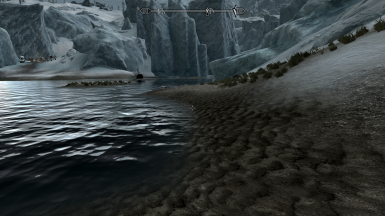 For a long time I was wondering what caused the water to appear "edgy" sometimes. Clear weathers never caused any issues, but as soon as the weather turned into something stormy/foggy, the water became a mess. At some point I realised it's connected with the weather system of Skyrim. To be more precise, the fog determines wether or not the water-land transition is smooth or not. 1. Day Far and Night Far set to at least 50000. 2. Power and Max values to a consistent 0.85. 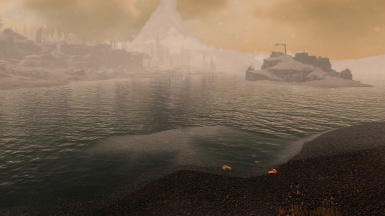 I also added those tweaks for other worldspace weathers, which are not edited by weather mods usually - so no more harsh water in Blackreach for example (which always drove me crazy). 1. The fogginess of all foggy weathers is basically reduced by half. 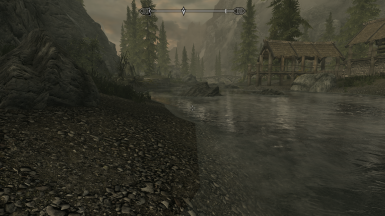 This might be a bonus for some and a major drawback for others, so I've provided a few screenshots of the differences to help you decide if it's worth trading fogginess for smooth water. 2. Your vision will be much clearer while underwater. 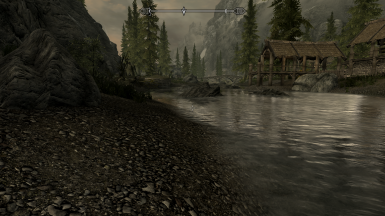 To achieve the shown results it's mandatory that you install a mod that reworks the vanilla water. Sadly, there is no workaround for this, the transparency of the vanilla water is so terrible that this fix won't even work with it. A few great options are listed below in the compatibility section. 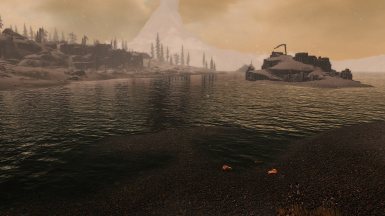 If you would like to test it for yourself simply open the console and type "fw 10a7a7" (or any other foggy/stormy weather) while next to a body of water, one time with the mod loaded + Realistic Water 2 and one time without it. There should be a noticeable difference. 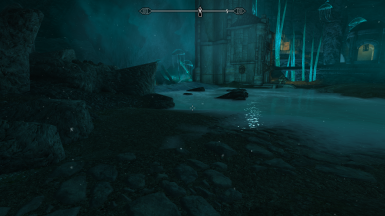 Ilinalta - Realistic Water﻿: mostly compatible. Realistic Water Two﻿: highly compatible. 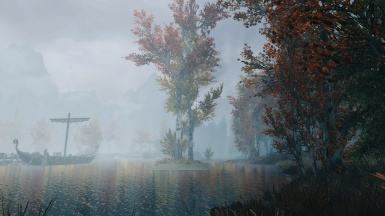 All major sound mods, like Sounds of Skyrim and Audio Overhaul: compatible. Wet & Cold: Incompatible. 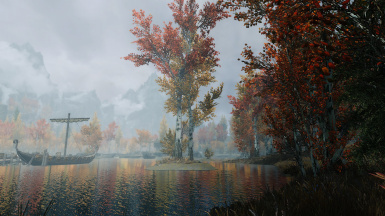 However, there is a small standalone patch for Wet&Cold on its own available here﻿. It can be used alongside all weather combos without any issues. **Please do note that this patch is only for Wet&Cold alone. If you are also using True Storms on its own, you will need to download the True Storms version of this plugin. **NOTE: If you have True Storms loaded along with any other weather mod and/or Wet&Cold, this is not the version you should be using. There are separate water's edge fix versions available for most of the True Storms + weather mod combos as outlined below, so please be sure to use them for the best stability. 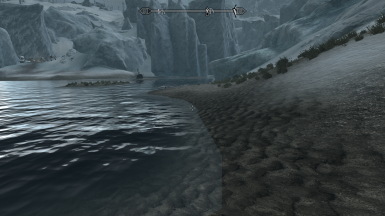 There is another potential fix provided by amorphis88 that takes a different approach to fixing the bug, called Smooth Shores. There are no conflicts between our mods, so you can use them together if you'd like to try both.